Raise money for charity AND increase your profile in your organization – it’s almost too good to be true! 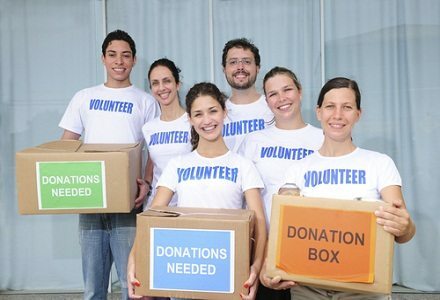 Here are five ideas that you can try to raise funds for local charities, and whilst you’re at it, get yourself known by the movers and shakers in your organization. All you need to do is donate some of your time and imagination! Dress-Up. Get noticed by dressing up in a seasonal outfit – and raise funds for a local charity in the process. It could be dressing as a leprechaun for St Patricks Day, Santa Claus for Christmas or a turkey for Thanksgiving. Whatever you wish, as long as it is appropriate and inoffensive. The important thing is to spark interest in You and a local cause. Get yourself in the local newspaper or website and get your employer a mention – phone/email their press-office and tell them what you’re planning. Warning: make sure you notify your boss, and appropriate departments before you do this, such as HR and your marketing department. Organize a BBQ. With the support of a local charity and your employer, organize a fundraiser BBQ with a theme –and request an optional fancy-dress theme. Not everyone will want to come in fancy dress, and you don’t want to dissuade them from coming. Get plenty of photos that can be shared on your Intranet! Ensure that your name is featured on all communications – this is the ‘deal’. Organize a soccer game or tournament. Again, in aid of a local charity, organize a soccer game (or similar) between teams. Buy cheap, plain T-shirts and have your employer’s logo printed on it (or even print your own on an iron-on transfer kit), and invite the local newspaper to cover the game. Bake a Cake. Bake a cake (or several) and share with people across your organization for a donation – people who you wouldn’t normally interact with. Give your cakes a ‘theme’ to make it memorable and a conversation-piece. Get photos of your splendid baking for your Intranet. Warning: keep the theme appropriate! Sponsor an Organized Charity Event. If you don’t have the time, or confidence, to organize your own event, then why not facilitate the sponsorship of a charity event in your city, by your employer? Your employer will make the decision to sponsor at a senior level – which of course raises your profile. Catch-all warning: be careful not to involve your employer and its brand in a caper that could place it under unwanted scrutiny. Involve HR and Marketing before you place the brand in the media.